which is a better multi fx sa tingin nyo? personally, I loved the tone of the Polyweb. kaso hirap maghanap. so, I settled for nanoweb nalang for convenience. I can't seem to find an excerpt in the link you provided that the polyweb has longer life? care to point out which part of the FAQ document says that the Polyweb has longer life? or is this based on assumption? my post above however, is based on experience, tested on both electric and acoustic guitars. the polyweb coating tends to deteriorate at a faster rate than the nanoweb. my acoustic nanowebs lasted for more than a year. my acoustic fitted with polywebs started to have the coating shrivel up and peel at around 8-9 months of use. I believe, some of our fellow forumers had the same feedback as well. and my preference with the string tone brightness. so the polys tend to flake more because of thicker coating, thus, deteriorates more. I stand corrected and that's why I said "I think" to also say "correct me if I'm wrong", nonetheless, thanks for the info. Same size lang ba ang locking nut screw ng Floyd Rose at locking nut screw ng Edge Pro? will they have the same size? 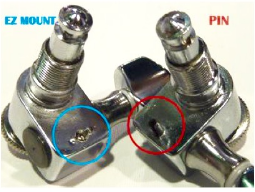 screw holes? i was wondering if i could do it on my own. imho, best to fit your workhorse with nano's. the "improvement" of tone of the poly isn't worth the decrease in durability if you ask me. compared to the two, either is superior to each other. i prefer the gotohs over my sperzels. it doesnt tarnish as fast as the sperzel. if you switch to sperzel lalabas yung lumang butas ng gotoh. you get what i mean. 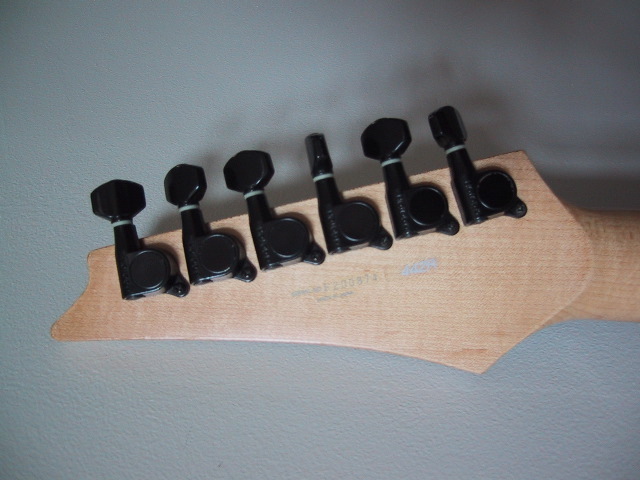 whereas the gotoh for ibanez is located at the bottom for the screws. so a minor modification is needed. (drilling a hole for the guide pin for non EZ mount. ang tigas na pag pinipihit, so i was thinking of replacing it instead. Sperzel and Gotoh tuner posts have different diameters. 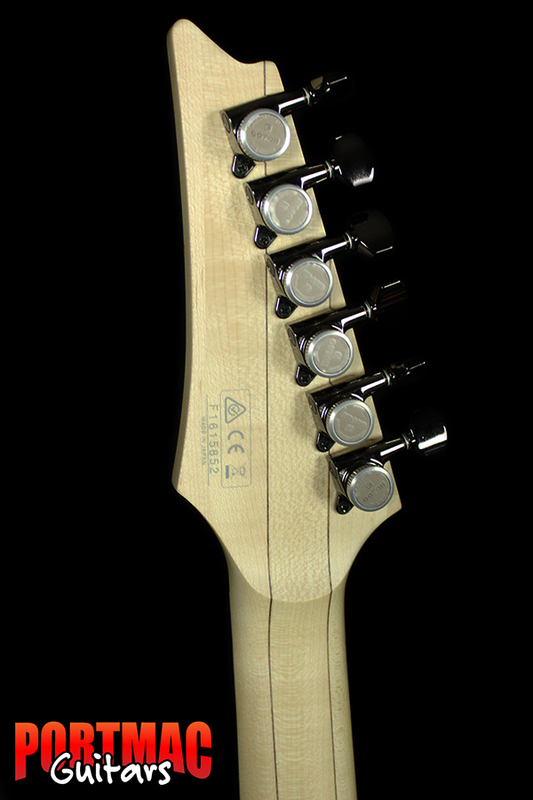 IIRC, Gotoh has a larger diameter, so Ibanez headstocks are drilled with one for Gotoh (even the non MIJ Ibanez guitars). You would have to fill the hole and drill it for the Sperzel post. 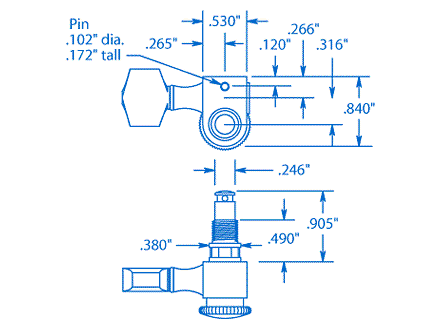 Sperzel has a single pin mount. May template na kasama sa Sperzel tuner package para maalign mo yung tuners ng maayos. I'm planning on buying a guitar interface and amp sim app for my iPad. I will play mostly metal so the best high gain sounds are my priority. ang ganda kasi ng bias papsi so I have to go with bias. BIAS AMP + BIAS FX. for the interface, kailangan ba mobile? you can try the FOCUSRITE Scarlet Studio. that's compatible with the ipad using a camera connector kit. Oo sana pre. Yung point is gusto ko sana mag gitara na yung iPad lang gagamitin ko and di na keilangan mag rely or i-on yung PC para tumugtog hehe. Hi. Planning to buy a new guitar, budget is 15k. I know being "better" is subjective but still want to know your thoughts. Squier CV 50s Tele or Epiphone '56 Goldtop P90s? Using a POD HD500. Blues, pop, classic rock and roll, jazz. ako kasi kala ko kaboses ko si john lennon noon, pero marami nagsasabi na mas kaboses ko si dolphy. Comparison is apples vs oranges as they are not the same guitar shape/pickup config. However. quality wise, go for the CV. but I don't think 15k is enough for a bnew CV. epiphones are... so so in terms of build quality. hard to find the really good ones. heck, I'd even say a Greg Bennett or Tagima would be better than the Epiphone. tahts also another brand to consider. for 15k, you might be interested in checking out the Tagima Tele. Thanks for the reply Ralph. May nacontact na akong seller na 15k lang yung CV, used. Mukhang yun nalang kunin ko. Salamat! oh, go and get that man! that's a great deal na rin IMHO. post pics of your baby once you get it! Boss ME80 vs Zoom G5n? Bad Behavior has blocked 41688 access attempts in the last 7 days.